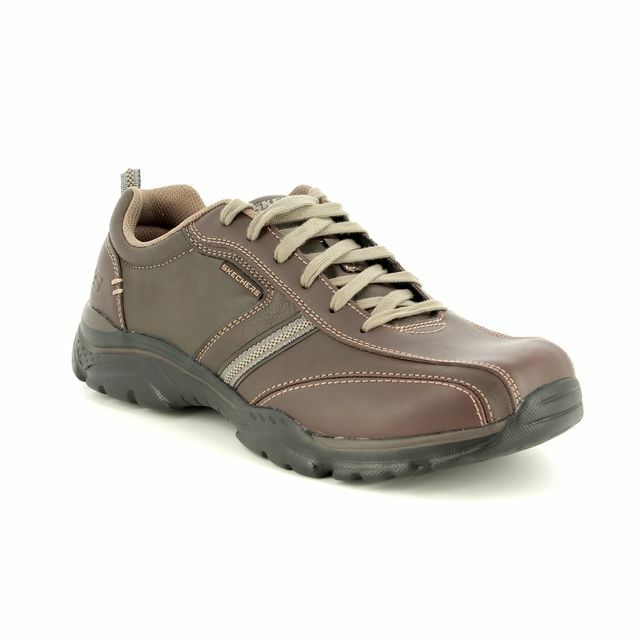 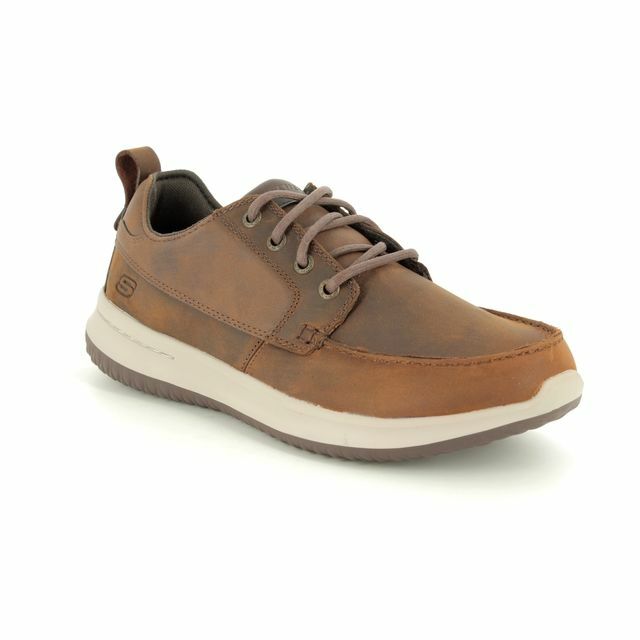 Skechers 65419 Relaxed Fit: Rovato - Larion in brown is a men's casual lace-up shoe that combines a smart sporty-style with Skechers technology for every day comfort. 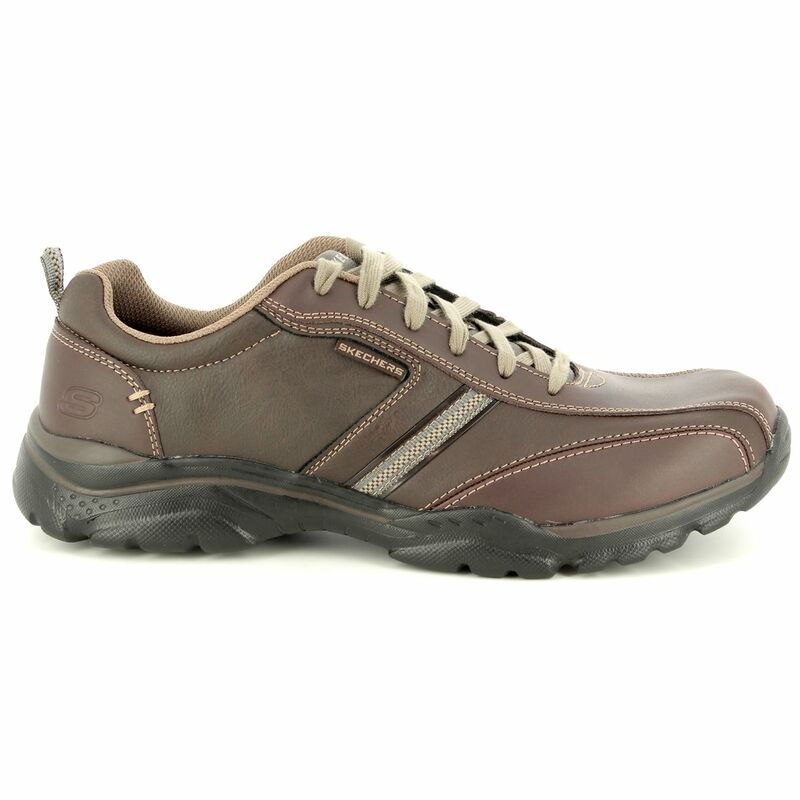 Skechers Relaxed Fit range have a roomier fit at the toes for greater comfort when wearing, making this the perfect casual shoe for you. 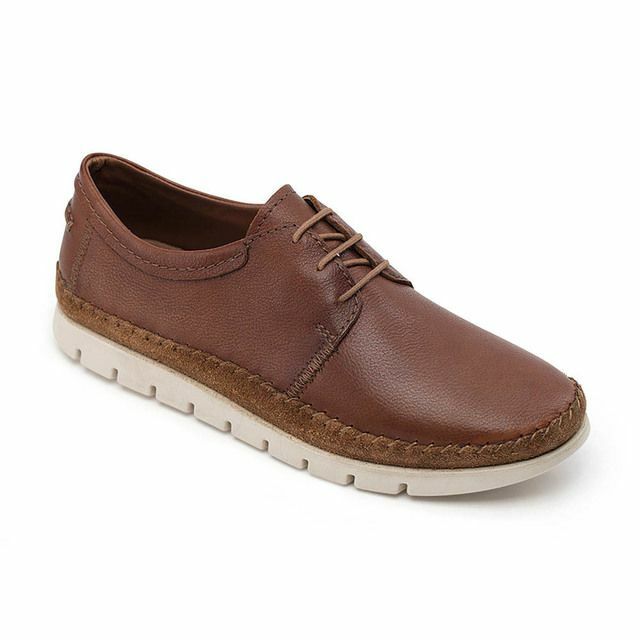 The upper is made from smooth brown leather with leather overlays and contrasting stitch detailing all over. 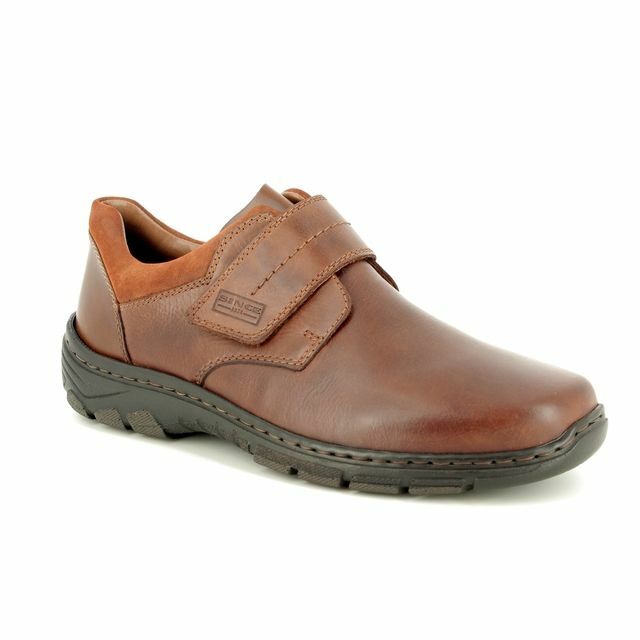 The lace fastenings allow for an adjustable and secure fit. 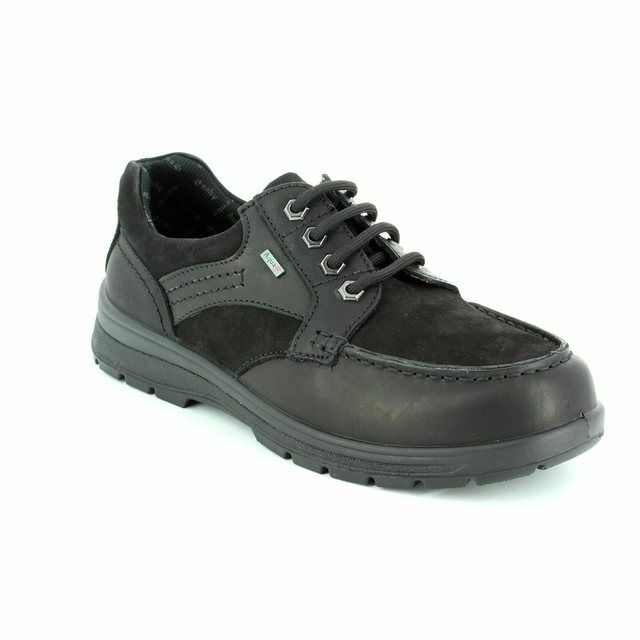 A padded ankle collar, tongue and a soft fabric lining provide comfort. 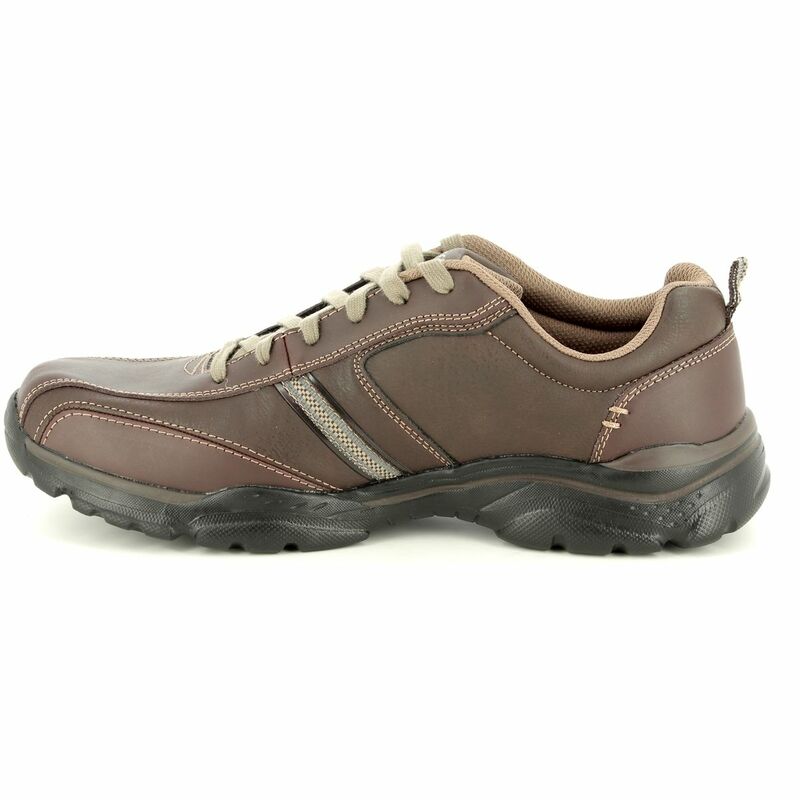 These casual lace-ups feature an Air Cooled Memory Foam cushioned comfort insole, shock absorbing lightweight midsole with sculpted designs and accent colour detail and a flexible rubber traction outsole. 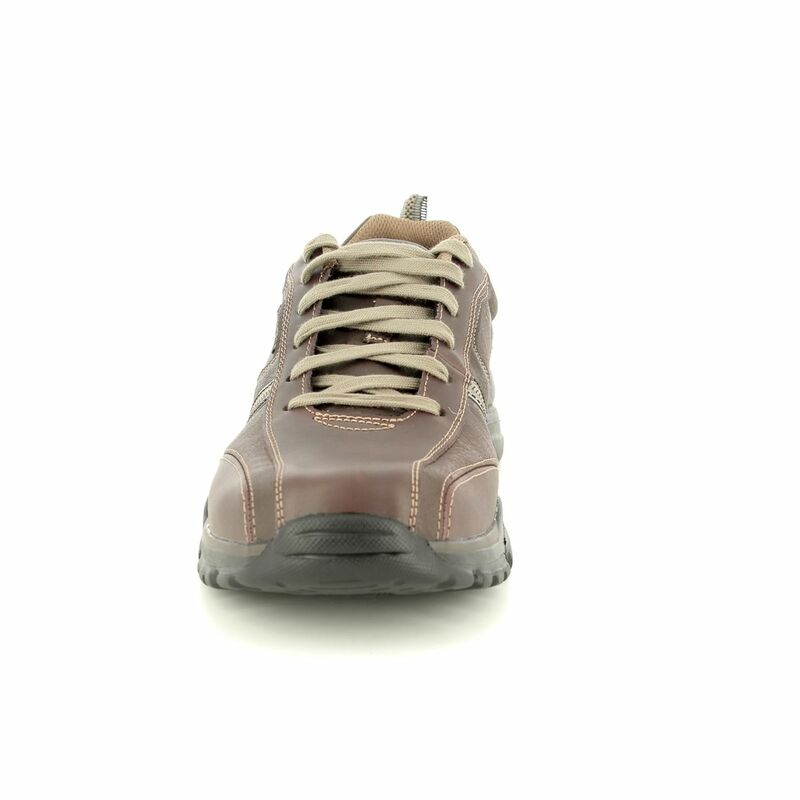 The heel height measures 1 1/2 inches. 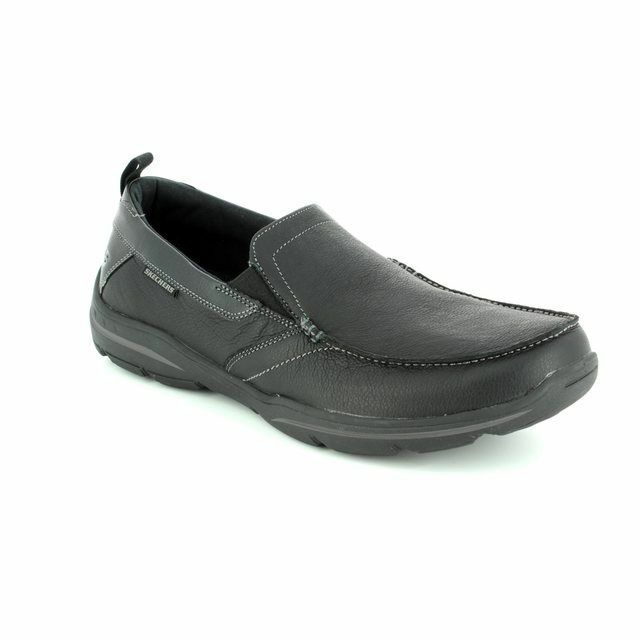 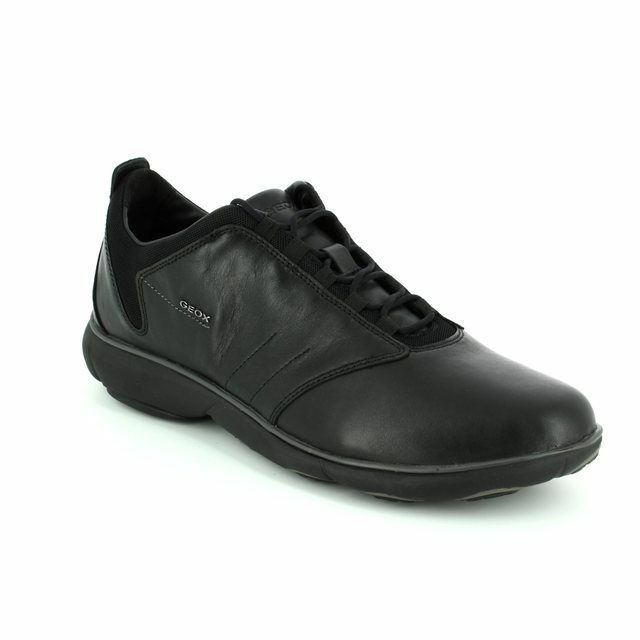 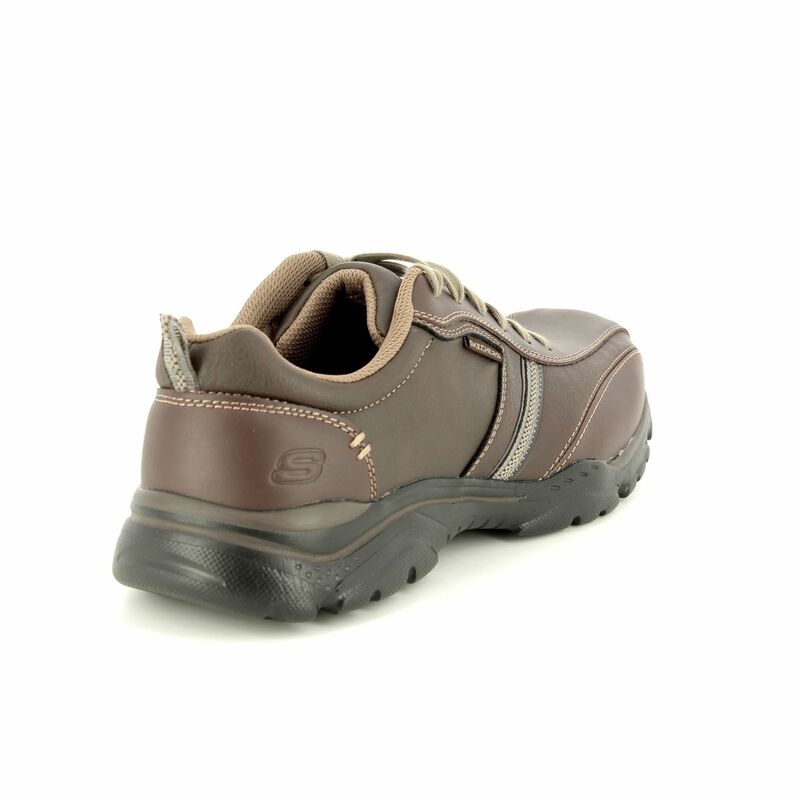 Buy your Skechers 65419 ROVATO LARION from Begg Shoes, an official Skechers stockist.